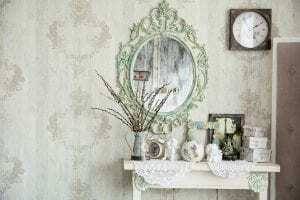 If the time has come to replace the bathroom mirror in your Raleigh, North Carolina, home, you can turn with confidence to the home improvement pros at 31-W Insulation. For over four decades, we have provided countless homeowners throughout the Southeast, Midwest, and even as far as Texas, with a wide range of products and services, including top-of-the-line bathroom mirrors, and have garnered a reputation as one of the nation’s premier home improvement companies. Our mirrors are beautifully crafted by the experts at Gardner Glass, a trusted glass manufacturer with 60 years of experience in the industry. Gardner mirrors are completely devoid of the minor imperfections that can sometimes be common in mirrors of lesser quality. These bathroom mirrors also provide you with a crisp, clear reflection that will not only make shaving, brushing your teeth, and putting on makeup that much more enjoyable, but will also brighten up your entire bathroom with a fresh new look and feel. When you partner with 31-W for a new bathroom mirror, you can have complete confidence that it will be installed correctly the first time by a factory-trained, company-employed installer. By never utilizing subcontractors, we can ensure a higher and more consistent level of workmanship and customer care. And, just to give you more peace of mind in your investment, we provide a one-year labor warranty on installation, along with a full manufacturer warranty on your new bathroom mirror. For more information about the bathroom mirrors that 31-W Insulation installs for homeowners in and around Raleigh, or to schedule a free consultation to meet with one of our experienced representatives, contact us today.